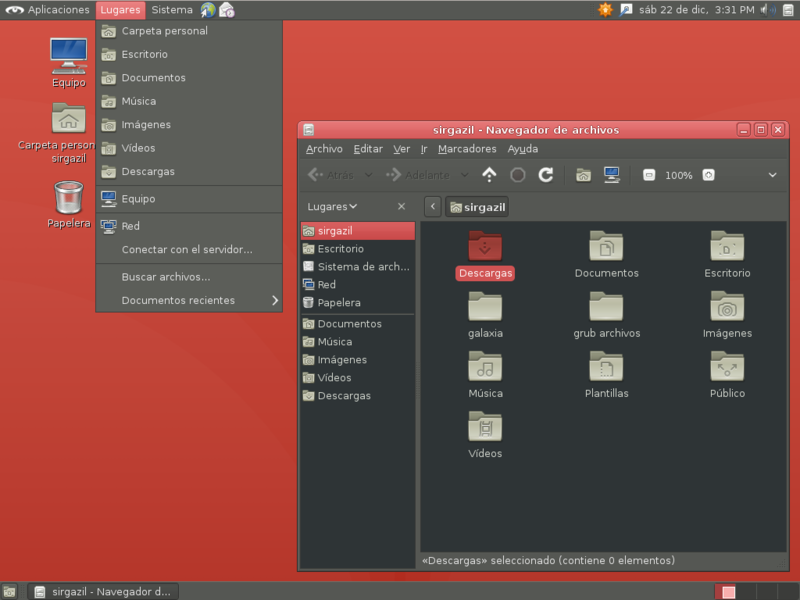 Galaxia includes themes for the GNOME 2 Desktop Environment. They are found in galaxia/desktop-theme directory and can be installed in /usr/share/themes, in the file system. After they are in place, an end user can select them from System ‣ Preferences ‣ Appearance. Two icon themes are provided: galaxia and galaxia-light. The former is a dark theme for light desktops; the latter is a light theme for dark desktops. None of the icon themes provided is a completly new theme. They inherit almost all icons from the default gnome icon theme, except the branding, which is replaced for gNewSense’s. Icon themes are found in galaxia/icon-theme and can be installed in /usr/share/icons, in the file system. Note that the desktop themes distributed with Galaxia depend on these icon themes. This means both icon themes must be installed for the desktop themes to work correctly. Desktop backgrounds or wallpapers are found in galaxia/backgrounds and can be installed in /usr/share/backgrounds, in the file system. End users of the system should be able to select any of these backgrounds using the Background tab located in System ‣ Preferences ‣ Appearance. Create a galaxia directory in /usr/share/backgrounds. Copy the SVG backgrounds in galaxia/gdm3-theme to the directory created above. Copy the galaxia/gdm3-theme/greeter.gconf-defaults to /etc/gdm3. This will replace Debian’s. Changes will be visible after restarting the system.